Cheshire Mouldings Benchmark™ Pine Stairparts may be manufactured from engineered or laminated Pine components; For ecological and design reasons, using the maximum amount of Pine from a tree while producing a superb looking, and more stable stairpart. - click for Richard Burbidge® Pine Newels on our Stair Parts website. Newels from £16.95+vat on our SfW™ Stair Parts website. Cheshire Mouldings Chamfered Staircase components are only designed to fit other specific components in the range. - We cannot be held responsible for any variations in machined Pine ST1500P Newel sizes, pattern, construction, grading, moisture-content, treatment, certi­fica­tion, knots, colour or grain. - We cannot exchange any Pine Stairparts once ordered; Cheshire Mouldings ST1500P Newels are supplied as a Special Order. 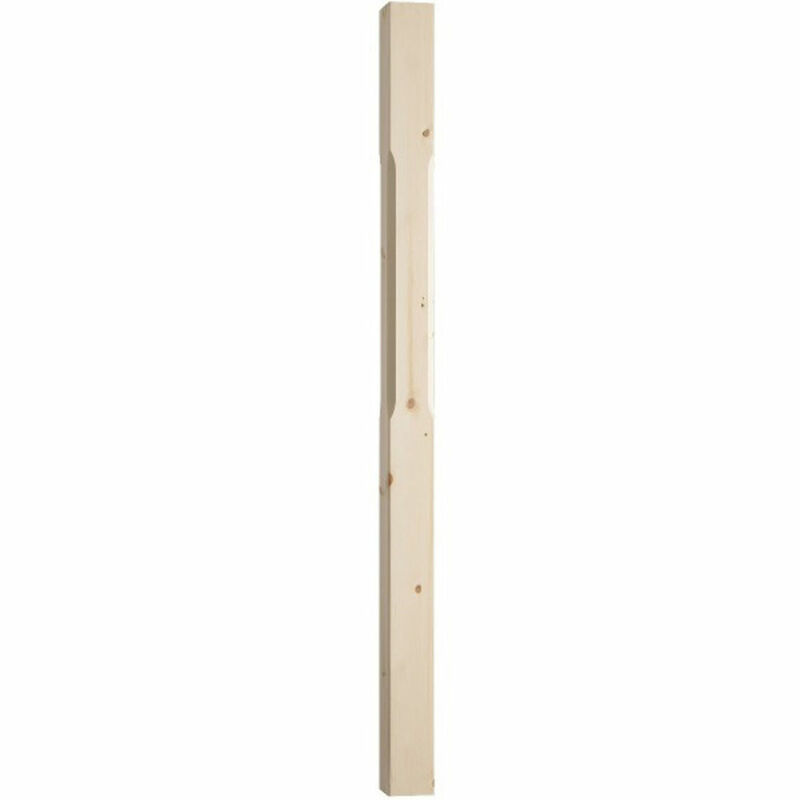 Payment - We can take Debit Card, BACS, Cash, Cheque or Credit Card payment online for Benchmark Pine 91mm Chamfered ST1500P Newel Posts. Direct Delivery of ST1500P Stair Newel Posts from the Cheshire Mouldings factory may be possible, and costs from £35+vat per order - poa; Don't forget, this price can be for a full staircase balustrade order, and can include longer lengths such as Handrails and Baserails that are too long to be sent by our own carriers. XDP parcels can be up to - 2400x400x400mm and 10Kg costing £11.40 +vat then 50p per Kg +vat; We would send Pine Stairparts longer than 2.4M with TNT. E. & O.E. 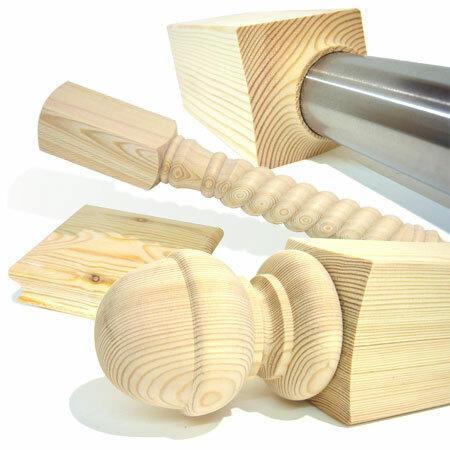 see T&C- We do try to keep prices and specifi­cations of ST1500P Pine Newel Posts correct, but mistakes can be made! Please let us us know if you do spot any errors - thanks.